Last week of the four week University course and my body clock is finally syncing to the 9:45am starts, overload of croissants and bad coffees (for those coffee lovers, the best coffee is found in vending machines…says something). I am also one week into my Digital Marketing course and already feel I have learnt enough to comfortably analyse websites and recommend improvements for website usability. In other words, we are learning so much so quickly and hoping that we are absorbing enough information for our Thursday presentation and Friday exam. Outside the school walls and since I last posted, I got to enjoy an “eventful” night of go-karting as organised by the school. Based on my past experiences of misbalancing and driving straight into a wall, you can imagine my nerves and hesitation towards this activity. Needless to say, I put on a helmet and got back into the kart, whizzing around the track and feeling as though I owned it. However, experience short lived. A simple go-kart experience seemed to turn into dodgem cars and I was back to my old ways of running into walls. Overall though, the activity was a lot of fun and another great experience in bringing all the classmates together. 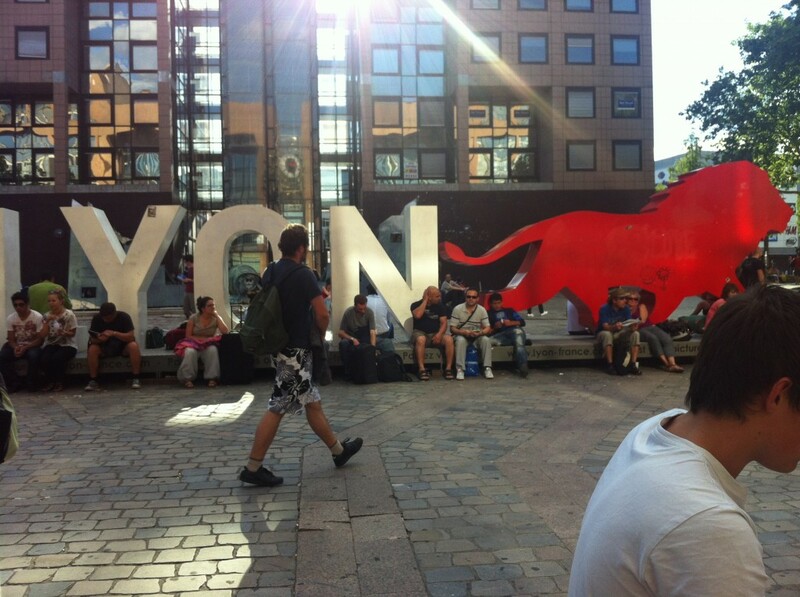 I also just got back from a weekend in Lyon, the third largest place in France. 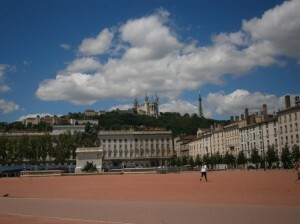 With a river snaking through the middle, roman ruins and fantastic shopping, I highly recommend a trip to Lyon. The nightlife in Lyon is also great and out of all the possible places to party, we happened to stumble across an “authentic Australian club” (on a boat). Yes, I will admit, we played the Aussie card but who wouldn’t right when you are surrounded by French people and find out there is only one other Australian person working on the boat/in the club. 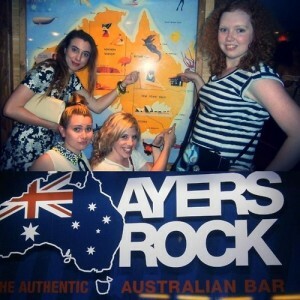 Again, anyone visiting Lyon, I challenge you to find this Aussie bar (aka Ayers Rock) and be apart of its fantastic atmosphere. So with only four more days left of University and the farewells drawing closer, it feels as though time has flown by. I have learnt so much both academically but also culturally and been able to make many valuable contacts along the way. Anyway, it is off to bed and I will post again soon about my final days in Grenoble.